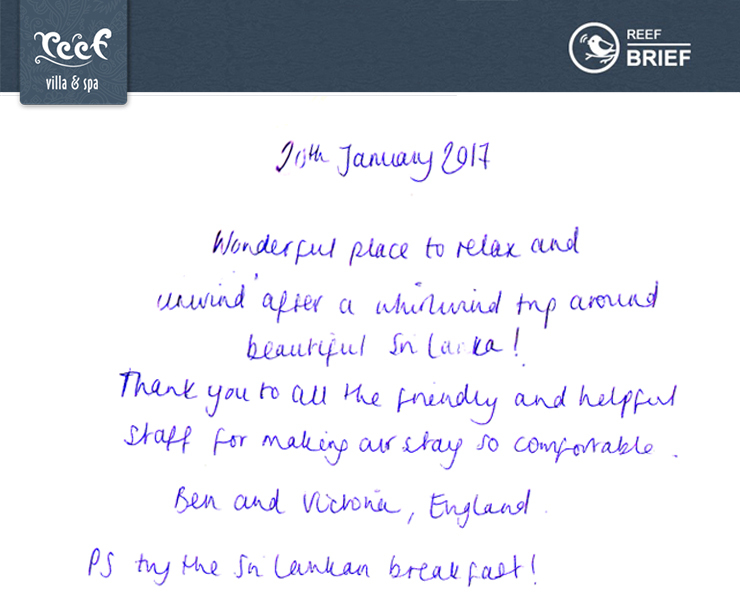 Reef Villa - 'Wonderful Place to Relax and Unwind After a Whirlwind Trip Around beautiful Sri Lanka. 'Wonderful Place to Relax and Unwind After a Whirlwind Trip Around beautiful Sri Lanka. on Sunday, 22 January 2017. Thank you to all the friendly and helpful staff for making our stay so comfortable. PS try the Sri Lankan breakfast".